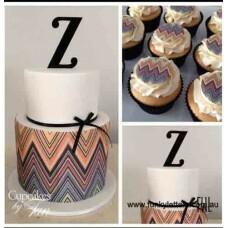 OR NEXT BUSINESS DAY once payment is received. 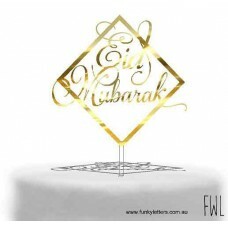 DOES NOT INCLUDE FRIDAYS PUBLIC HOLIDAYS OR WEEKENDS. 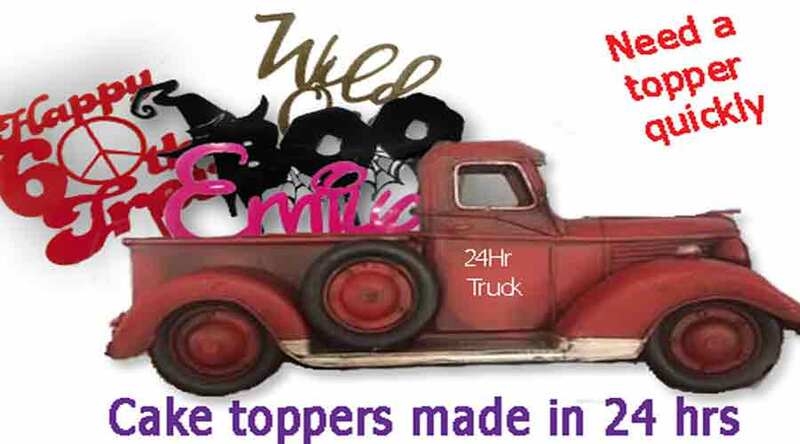 NO POST OFFICE BOXES , THIS DOES NOT INCLUDE SHIPPING TIME FRAMES . 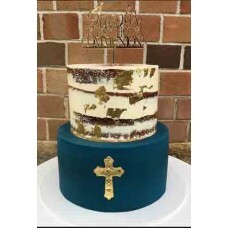 Child of God cake topperfit a 6inch cake .. 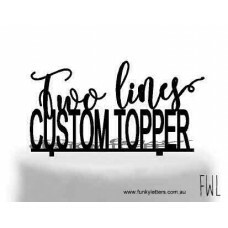 Custom Designed Cake Toppers " work with us "
This is for people who have an idea of a special cake topper different from anything we already have..
Our gorgeous cake toppers made from a variety of materials such as acrylic, bamboo or MDF.*All.. 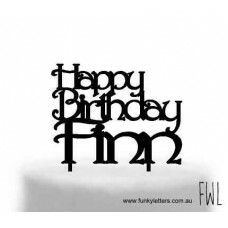 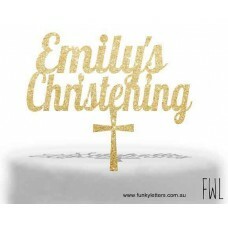 Our gorgeous cake toppers made from 3 mm thick acrylic bamboo, or MDF ,*all items are Australi.. 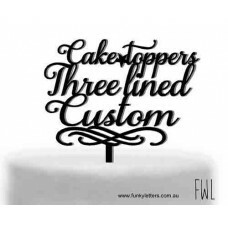 These cute little cake toppers are made from top quality acrylic, bamboo or MDF. 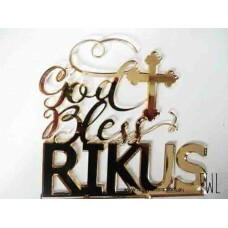 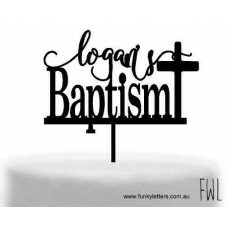 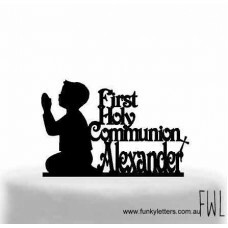 You can choose..
Trending right now are these fantastic fonts, so why not use them on your child's first Holy Communi.. 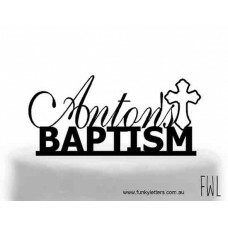 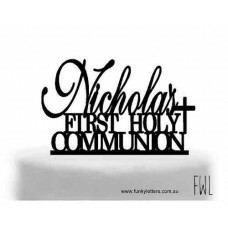 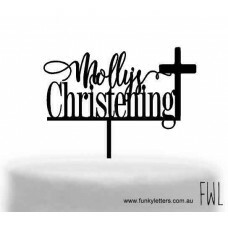 Beautifully created First holy communion cake toppers made in Melbourne ?All cake toppers are made f.. 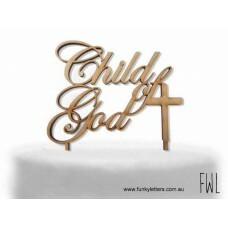 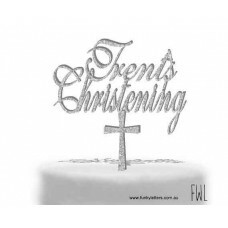 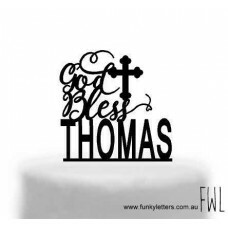 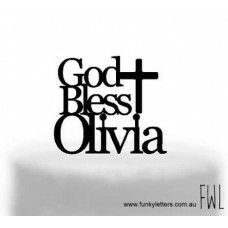 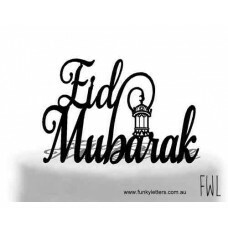 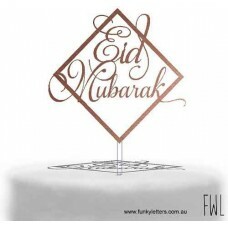 These personalised cake toppers are great for any religious celebration.They come in lots of great a.. 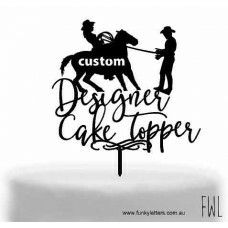 These cake toppers are approx 10cm high and 15cm wide .They come in a variety of colours and ma..
2 lined cake topper personalised designs are made to fit a 6-8 inch width cake height will var..
3 lined cake topper, cant find what you want but need a 3 lined cake topper * made to fit a 6-8 inch..
our gorgeous christening cake topper is made from 3mm thick top quality products including Acryli MD.. 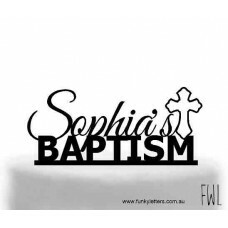 Size is approx 15cm in length and height is around 10cm comes in either Christening Bapti.. 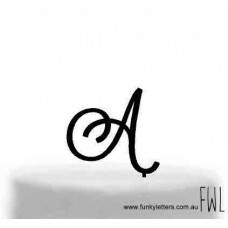 Separate Capital Letters Priced Per LetterK & R is x 3 each letters comes on its own prong&..